The Eames 670 Chair and 671 Ottoman are among the most iconic furniture designs in history. This is a very early model of the chair, produced pre 1971 as it retains the circular cushion clips (as opposed to oval) and has original duck down feather cushions. This set is truly for the mid century collector or someone who wants a chair that will only go up in value. 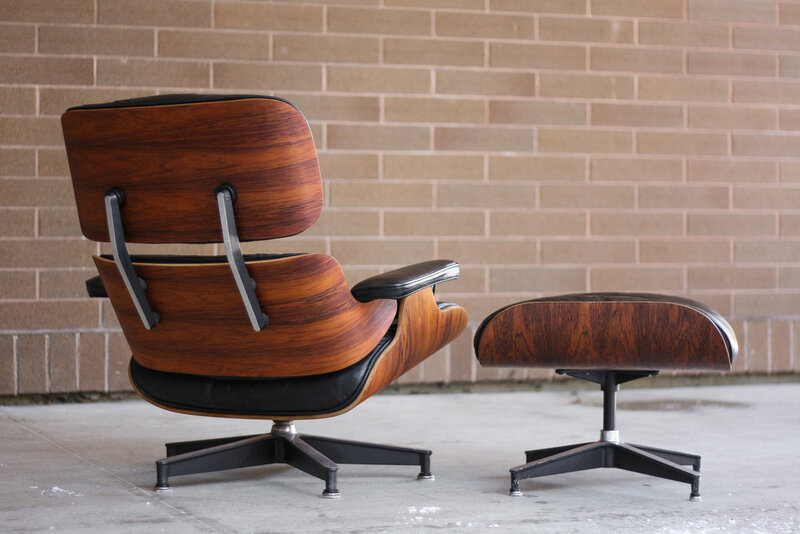 As I’m sure you are aware, Herman Miller can no longer produce chairs in Brazilian Rosewood so the few that remain from the vintage era are highly collectible and sought after. The pictures do most of the talking showing the beautiful rosewood graining to the molded shells. The black leather is has a wonderful sheen and provides a nice contrast to the red/orange/brown hues of the rosewood shells. This pairing is in great vintage condition. That said, as is the case with any vintage piece, there will be imperfections to the upholstery (some markings and the seat buttons are worn) and some light signs of use to the shell small chips. One screw in the headrest is not completely set. We wouldn’t expect a 60 year old chair to be perfect, but this is definitely in very good vintage condition and no work is required to enjoy the chair. Zoom in if you need to to see every nook and cranny. 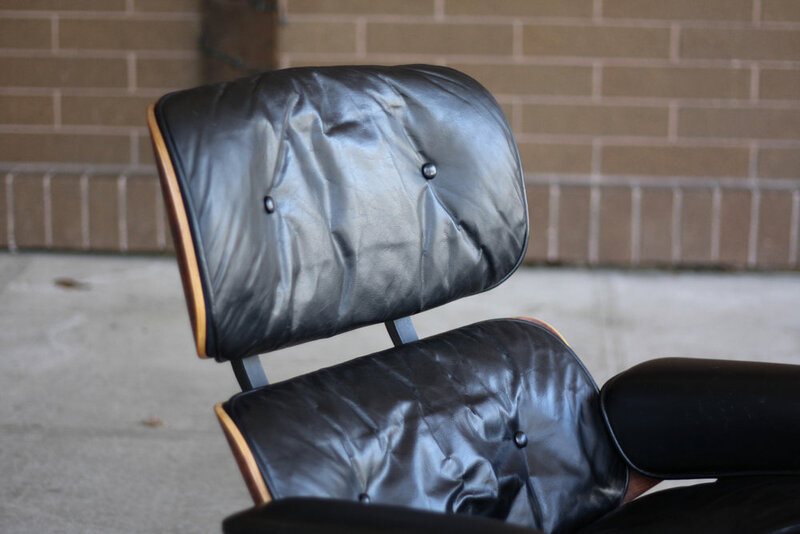 You’ll be hard pressed to find a vintage chair with fewer cosmetic issues.